HI all just a quick visit to blog this card. I bought this stamp last year to make a birthday card for a lady at work who loves penguins ............. then stupidly forgot I had it. So this year even though I haven't made a card in a while I just had to use it. How cute! Love the button flower! Thanks so much for joining us this week at Sweet Sketch Wednesday. 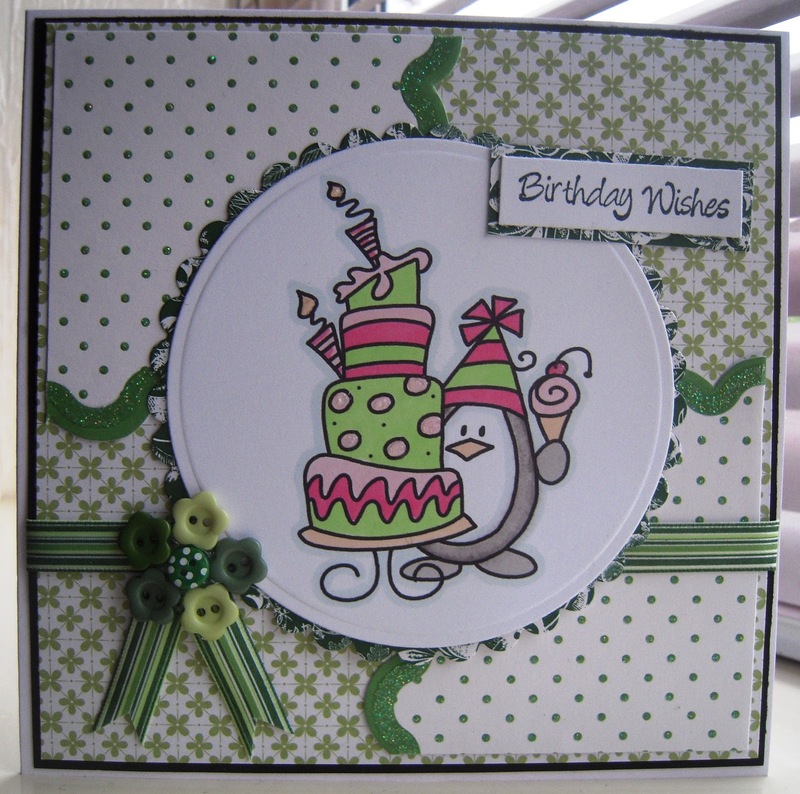 Gorgeous card Debs, such a cute little penguin. Love the layout too. Hi Deb, I really love what you have done with this lovely card. 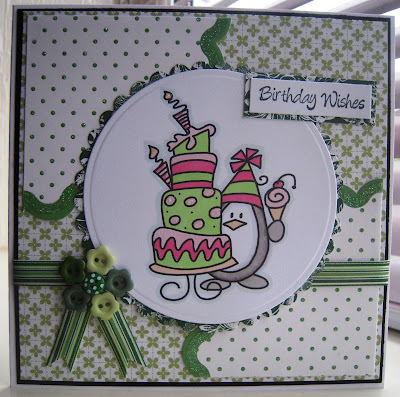 Such a cute image and your design papers are just beautiful especially the one that looks like it has a ric a rac edge and your button flower is the perfect finishing touch to a lovely card. I just love this flower what a great idea. 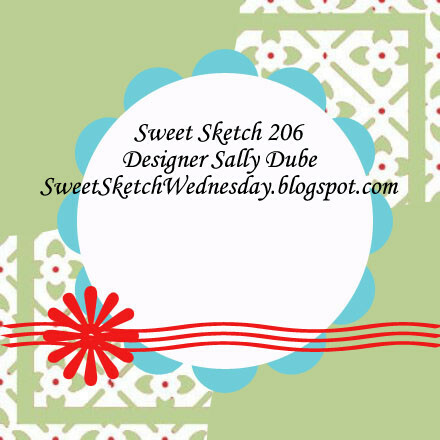 Thanks so much for joining us this week over at Sweet Sketch Wednesday and good luck. Hi Debs, I love how you scalloped your edges around the circles. Such a cute idea. I love your adorable image too. it is so nice to have you join us. Hi Debs, this is a gorgeous take on the sketch and what a sweet image too! Super fun card, Love the great papers and you super coloring. The image is so cute. Thanks for joining us at SSW. What an awesome card!! Especially love the buttons and ribbon - so clever! !